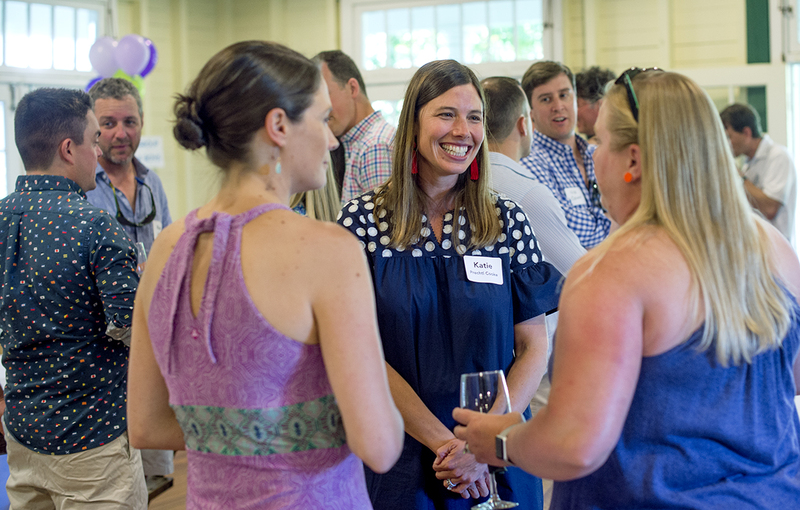 The NOW Generation kicked off the summer with their annual President’s Reception July 2 at the Girls’ Club. Chautauquans between the ages of 21 and 40 gathered in the open-air room to mingle, make new connections, catch up with old friends and engage with members of Chautauqua Insitution’s leadership. Gone were the green benches of Club, replaced with white tablecloths and an open bar. The theme of the evening: the time is now. In his address, Hill charged the NOW Gen with the task of stepping up and deciding where Chautauqua is going and what it’s going to look like moving forward. Hill related to the group, and asked for their assistance in steering the Institution into the future. 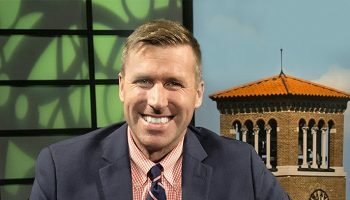 During the first 10 full days of his inaugural season as Chautauqua Institution’s 18th president, Hill said he had watched artists, philosophers, thinkers, young people and families come together and imagine how to put society back together. Amy Schiller, vice chair of the NOW Gen advisory council, reiterated the initiative’s purpose and goals. 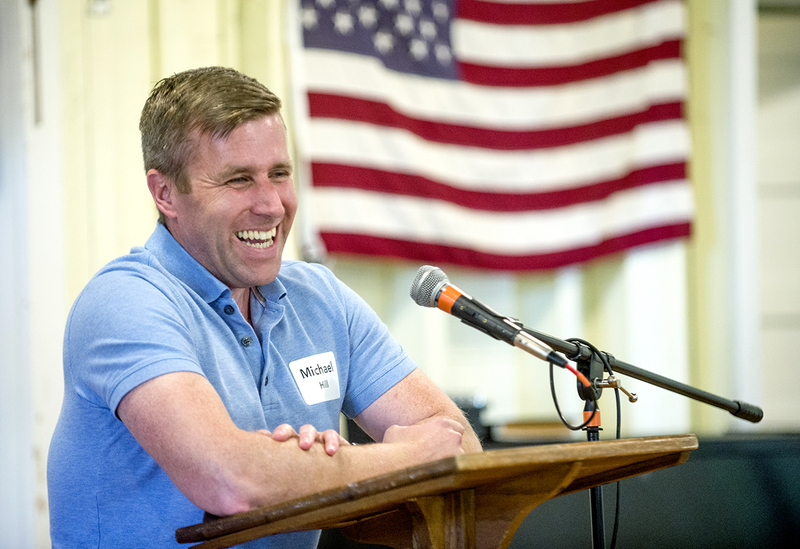 “We’re here to build community, to find other Chautauquans, to deepen our relationships with each other and to take ownership … to do exactly what Michael just described — which is to figure out what we want Chautauqua to be; and to make it a place for us, a place for our families, a place for future generations,” Schiller said. 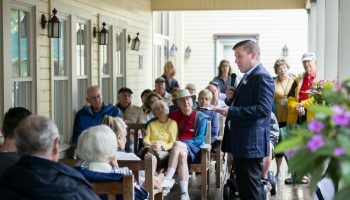 Schiller appealed to the group, and said one of the ways they can help build community and take ownership of Chautauqua is through financial support. Other speakers who addressed the crowd included Steven Osgood, Chautauqua Opera Company general and artistic director; Russell Bermel, NOW Gen advisory council member; and Katie Prechtl Cooke, NOW Gen advisory council chair. 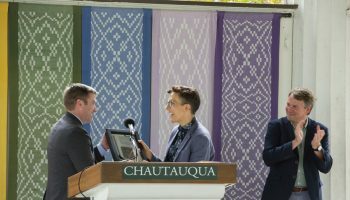 Prechtl Cooke opened the program by reminding the crowd of their importance to Chautauqua, and explaining the different activities they can engage in both during the summer and in the off-season. 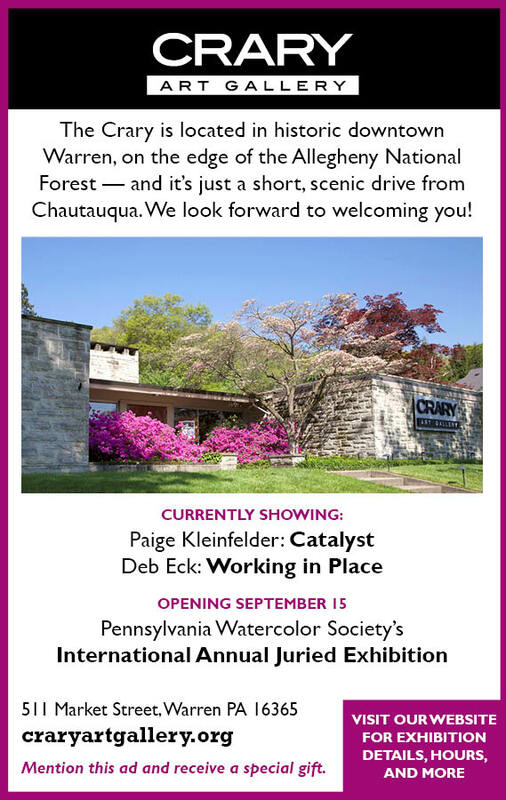 This coming off-season, NOW Gen is planning to host a weekend at Chautauqua Oct. 13–14 for people to be able to come back, bring their families and friends, and enjoy Chautauqua outside of the season. 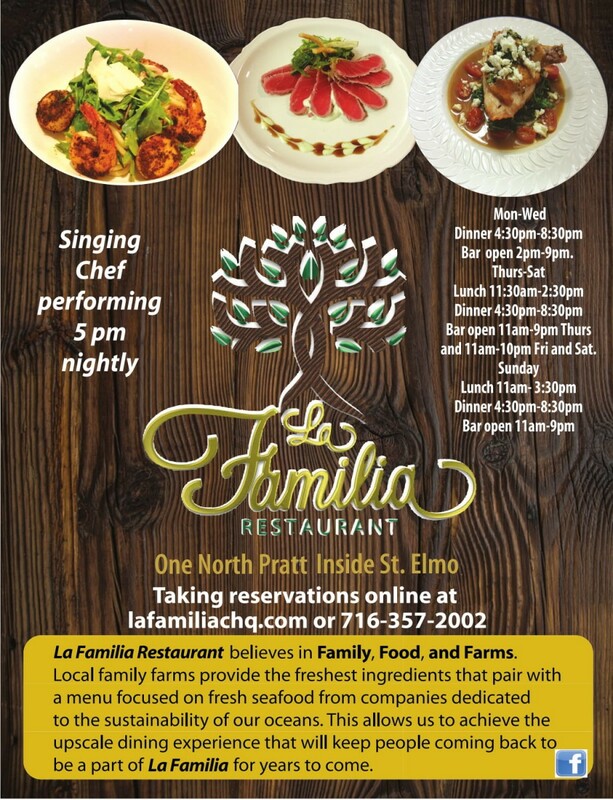 Plans for the weekend are still underway, but the council has outlined a plan to have designated social time, activities for kids and opportunities for adults to engage with leadership. 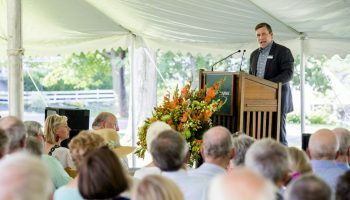 “The NOW Generation has been leading off-season engagement for many years, and we look forward to being part of the conversation of what we can have to offer Chautauqua,” Prechtl Cooke said. 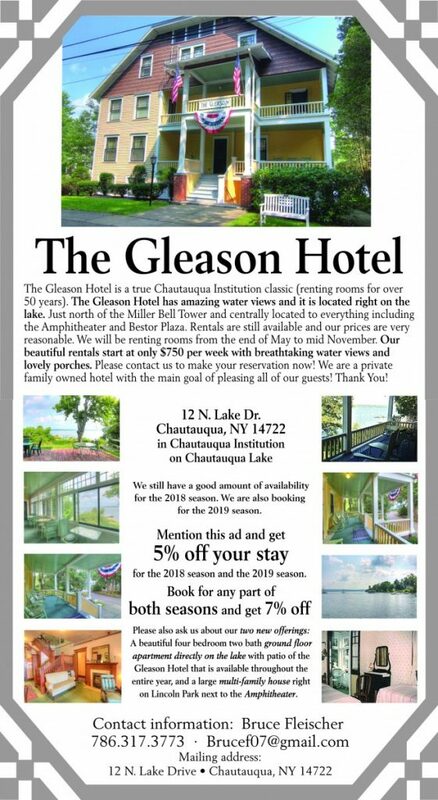 For more information about the NOW Generation or to RSVP for upcoming events, visit the Facebook page (facebook.com/NOWGenCHQ) or contact Megan Sorenson, staff liaison, at 716-357-6243 or msorenson@ciweb.org to sign up for the e-newsletter.